What we have below is the list of The 30 Most Influential Deans of Nursing in the United States. We devised a system in which ‘points’ were awarded to each Dean based on a wide variety of data, including awards, ‘Top 10’ rankings, NIH funding, NCLEX passing percentage, and much more. After the data had been gathered and the points awarded, we then tallied the points and were left with the list you see below. Congratulations to each and every Dean on this list – their work, dedication, and passion for raising up bright, new nurses has not gone unnoticed. 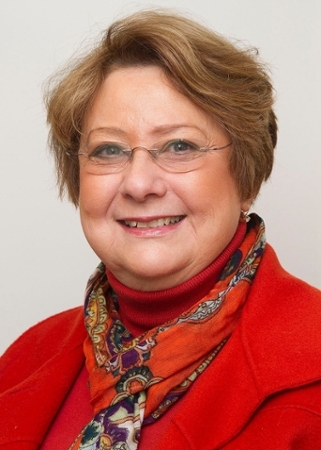 Dr. Judy A. Beal has served as director of the Simmons College Prince Sultan University Nursing Initiative in Riyadh, Saudi Arabia since 2009 and was the owner of Nurse Network, Inc., a career consultation service for nurses, for several years. In 2012 she was named a Fellow by both the American Academy of Nursing and the National Academy of Practice, and in 2011 she received the Gold Award for the Best Regular Column by the American Society of Healthcare Publishers for her contributions to the American Journal of Maternal Child Nursing. Dr. Beal continues to serve in a leadership role for the American Association of Colleges of Nursing. The first of only two men on the list, Dr. Stephen J. Cavanagh served as both Professor and Associate Dean for academic and clinical affairs in the College of Nursing at Wayne State University in Detroit before taking over as Dean of the University of Massachusetts at Amherst College of Nursing. He served as the VP of the Nursing Practice Corporation and as grant review chair for the Bureau of Health Professions’ Division of Nursing. Between 1994 and 1996, Dr. Cavanagh was Professor and CEO of the Birmingham and Solihull College of Nursing and Midwifery in the British National Health Service. He is also a Fellow of both the Royal Society for Public Health and the Institute of Leadership and Management. Dr. Jacqueline Dunbar-Jacob, who started teaching at the University of Pittsburgh in 1984, was appointed Dean of the School of Nursing in the Fall of 2001. During her time at the University of Pittsburgh, Dr. Dunbar-Jacobs served as Presidents of the Society for Behavioral Medicine, the Academy of Behavioral Medicine Trials and the Friends of the National Institute of Nursing Research. She also served on the boards of the American Academy of Nursing and the Society for Clinical Trials. Dr. Dunbar-Jacob also served on three different NIH safety and monitoring boards as a behavioral scientist and as a member of the NIH Prevention of Alzheimer’s Disease Consensus Panel. 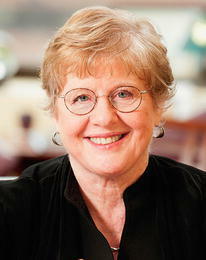 Dr. Kathleen Potempa was appointed Dean and Professor of the University of Michigan School of Nursing in 2006. She is an internationally recognized leader in nursing and is specifically interested in pedagogy, leadership, cardiovascular fitness in the physically impaired and community-based approaches to improving health. Dr. Potempa was named a member of the board of directors of the AACN in 2001 and served as president of the organization between 2010 and 2012. Dr. Potempa is also the author of over 100 scientific publications and has made over 100 presentations around the world. She was also made a Fellow in the American Academy of Nursing in 1994. Dr. David Vlahov first served as Professor of Epidemiology at both John Hopkins University and Columbia University and Adjunct Professor of Psychiatry at New York University. Dr. Vlahov was appointed Professor and Dean of the School of Nursing for the University of California at San Francisco in April 2011. He specializes in the areas of epidemiology, infectious diseases, substance abuse and mental health, and served as co-Director of the Robert Wood Johnson Foundation Health and Society Scholars program. Dr. Vlahov is also a Fellow of the American Academy of Nursing and is a recipient of the NIH MERIT award. Having been appointed Dean of the University of Cincinnati College of Nursing in January 2012, Dr. Greer Glazer has since been elected for her second two-year term on the board of directors of the American Association of Colleges of Nursing. Before joining the University of Cincinnati however, Dr. Glazer served as the Dean of the College of Nursing and Health Sciences at the University of Massachusetts at Boston since 2004 and as a Nurse Executive Fellow for the Robert Wood Johnson Foundation. Dr. Glazer recently spearheaded a national study on Holistic Admissions in the Health Professions and in 2013 was named one of Ohio’s ‘Most Powerful and Influential Women’ by the National Diversity Council. Dr. Barbara Broome was appointed Dean and Professor of Kent State University’s College of Nursing in March 2014 after serving as the Associate Dean at the University of South Alabama’s College of Nursing for a number of years. Dr. Broome was named a Fellow of the American Academy of Nursing in 2008 and served as the President of the Association of Black Nursing Faculty between 2002 and 2004. Her areas of expertise include mental and women’s health and minority issues, and she has written many book chapters and articles on those subjects as well as bullying, aging, incontinence and mentoring. 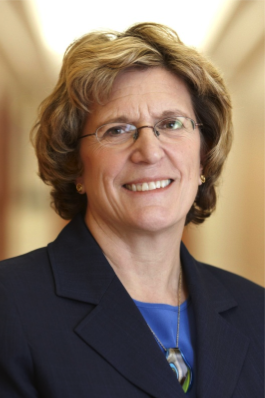 Before being named Dean and Professor at the University of Texas at Arlington’s College of Nursing and Health Innovation in April 2014, Dr. Anne Bavier previously held the role of School of Nursing Dean at both Saint Xavier University and the University of Connecticut. While at her previous schools, Dr. Bavier led both of them to be named National League for Nursing Centers of Excellence in Nursing Education. In addition to these accomplishments, she is also a Fellow of the American Academy of Nursing and the Institute of Medicine of Chicago and has authored and co-authored multiple publications on the topics of nursing education and professional development. Dr. Carolyn Yucha, who took over as Dean for the Schools of Nursing and Allied Health Sciences at the University of Nevada at Las Vegas in July 2004, was previously the Associate Dean for Research at the University of Florida School of Nursing. Dr. Yucha’s research focuses mostly on physiological stress reactions, leading her to secure research funding from the NIH to study the use of biofeedback to treat hypertension. She has published more than 50 peer-reviewed articles and six book chapters, and is the editor of the ‘Biological Research for Nursing,’ journal. Dr. Yucha is also a Fellow in the American Academy of Nursing. Dr. Sarah A. Thompson joined the University of Colorado College of Nursing as Dean and Professor in August 2012 after having previously served as Professor and Associate Dean of academic programs in the University of Nebraska College of Nursing. Dr. Thompson, whose area of focus is mostly gerontology, has done most of her research on end-of-life care in nursing homes and held two hospice-related positions as case planners in Kansas City and Joplin, Missouri. She is also a member of the American Nurses Association, the Gerontological Society of America, and the Midwest Nursing Research Society, among others, and in 2009 she became a Fellow in the American Academy of Nursing. Previously serving as the Associate Dean at the University of Kentucky from 2008 to 2013, Dr. Suzanne S. Prevost was appointed Professor and Dean of the Capstone College of Nursing at the University of Alabama in August 2013. Dr. Prevost focuses her research on evidence-based practice with the specific goal of improving end-of-life care in nursing homes and increasing the use of technology in nursing education. Dr. Prevost has also received numerous awards, including national awards from the American Association of Critical Care Nurses and the Hospice and Palliative Nurses Association for her research and presentations. Dr. Patricia Ravert, who joined the Brigham Young University faculty in 1999, became Dean of the College of Nursing in August 2012. Dr. Ravert is known for her contributions and involvement with simulation learning in nursing, specifically with high fidelity simulation, and served as the coordinator of the Clinical Simulation Laboratory and the Nursing and Learning Center. She is currently a Fellow of the American Academy of Nursing, the Academy of Nursing Education with the National League for Nursing, and a Certified Nurse Educator. Having joined the University of Iowa College of Nursing in 1972 and serving many years as the Professor and Chair of the Systems and Practice Area of Study, Dr. Rita A. Frantz was appointed Dean in July 2007. Dr. Frantz specializes in wound healing and pressure ulcer prevention and is recognized internationally of for her work on the subjects, having spent the past 25 years conducting her research. Due in part to her work in these areas, she has also served on multiple government and professional panels, helping develop guidelines for prevention and treatment of pressure ulcers. Dr. Judith Fitzgerald Miller, who specializes in adult nursing and psychological responses to chronic illness, assumed the role of Dean at the University of Missouri’s School of Nursing in August 2008. Dr. Miller has been instrumental in studying the idea of hope among those diagnosed with chronic illnesses, having written a book and developed the ‘Miller Hope Scale,’ a scale used to determine how much ‘hope’ an individual seems to possess in light of their circumstances. Dr. Miller has also been the recipient of numerous awards and honors, and currently serves on a handful of influential boards and committees, including the AACN Clinical Nurse Leader Steering Committee since 2006. Dr. Linda Sarna, who has named acting dean for one year as of July 2014, is stepping into the position while the permanent Dean, Dr. Courtney Lyder, is on leave. Despite being in the role only temporarily, Dr. Sarna has authored more than 200 articles, books and chapters, and she has been the recipient of numerous awards and honors, including being named as a Fellow to the American Academy of Nursing and and being recognized as a distinguished research professor by the Oncology Nursing Society. She also has served on the commissions of both the National Cancer Institute and the Institute of Medicine. 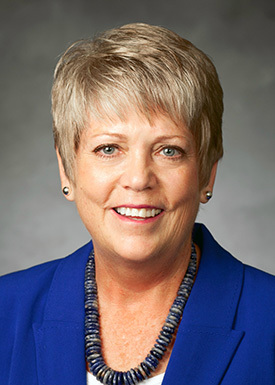 Dr. Joanne Warner became Dean of the University of Portland School of Nursing in 2007 and serves on the Oregon state, regional and national boards, most notably the American Association of Colleges of Nursing. While her focus is primarily on health policy and community health, she has also played her part in a variety of political and policy advocacy roles as well, including electoral campaign management in which she has seen six successful local and state political campaigns. Dr. Warner was also a finalist for the Robert Wood Johnson Health Policy Fellowship in 2005. Dr. Bernadette Melnyk is an internationally recognized expert in child and adolescent mental health and evidence-based practice, and is frequently invited to speak at conferences around the world on these topics. Dr. Melnyk has published over 250 writings and is the co-editor of four books, including one that won an American Journal of Nursing Book of the Year award. She also recently founded the National Interprofessional Education and Practice Collaborative as well as the the first National Summit on Building Healthy Academic Communities. Dr. Melnyk also serves as an editor for the Worldviews on Evidence-based Nursing journal. Shortly after taking over as the Dean of South Dakota State University’s College of Nursing, Dr. Nancy L. Fahrenwald was inducted as a Fellow in the American Academy of Nursing. Dr. Fahrenwald is ANCC Board Certified in Advanced Public Health Nursing and likes to focus specifically on American Indian and rural health, cancer decision making and tobacco cessation among others areas. She has been the recipient of numerous school, state, regional and national awards and honors, and has had her hand in more than 10 publications just in the last two years. 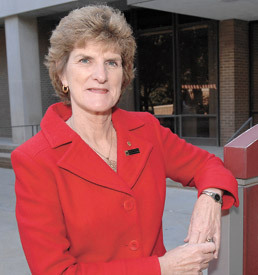 Before taking over Texas Woman’s University College of Nursing as Dean in July 2014, Dr. Anita G. Hufft had been Dean of Valdosta State University’s nursing program for more than 10 years. Once a nurse in the United States Army, Dr. Hufft has also received multiple honors, awards, grants and fellowships, including receiving $1.5 million federal grant for providing healthcare to uninsured workers and being the recipient of the Forensic Nurse Scholar Award from the International Association of Forensic Nurses. Dr. Hufft has also served on various boards, including the Georgia Board of Nursing, the Journal of Forensic Nursing Editorial Board and the American Association of Colleges of Nursing. Dr. Alexa K. Stuifbergen became Dean of the University of Texas at Austin’s School of Nursing in December 2010. Her area of expertise falls in the areas of multiple sclerosis, post-polio syndrome, fibromyalgia, and more broadly, health promotion for individuals with chronic and disabling conditions. Dr. Stuifbergen is the recipient of multiple awards and honors, including the 2009 Nursing Research Award presented by the International Organization of Multiple Sclerosis Nurses, as well as the 2003 Distinguished Alumna Award and the 2004 and 2006 Faculty Research Awards presented by the University of Texas at Austin School of Nursing. 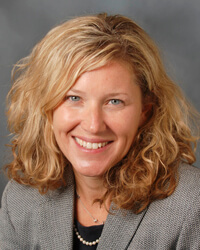 Dr. Meredith Wallace Kazer, who took over as Dean in June 2014, is an award-winning researcher who is an adult and gerontological primary care nurse practitioner. Dr. Kazer is also well known for her written work as she has authored 26 book chapters, more than 70 journal publications and 10 books, one of which won the American Journal of Nursing Book of the Year award in 2002. Dr. Kazer continues to maintain a practice in Connecticut which focuses on older adults with chronic illnesses. In 2014, Dr. Kazer was named among the top 15 adult gerontological professors in the United States by Nurse Practitioner Schools. Dr. Gloria Donnelly became Dean of the College of Nursing and Health Professionals at Drexel University in 2002 after having served as the first Dean of Nursing at La Salle University and the first Dean of the School of Nursing at MCP Hahnemann University. Dr. Donnelly specializes in psychiatric-mental health nursing and has authored four textbooks, two of which won American Journal of Nursing Book of the Year awards. She is also the current editor of the Holistic Nursing Practice journal and speaks all across the United States on a number of different mental health topics, including stress, change and assertiveness. Dr. Bobbie Berkowitz, who served as the Alumni Endowed Professor of Nursing and adjunct professor in the School of Public Health at the University of Washington, took over as Dean at Columbia University’s School of Nursing in September 2010. Dr. Berkowitz presently serves on multiple Boards and Advisory Panels, including the Visiting Nurse Service of New York, the Public Health Foundation, the Association of American Medical Colleges, and the National Quality Forum Measures Application Partnership. Along with serving on these boards and panels, Dr. Berkowitz has been recipient of numerous honors and awards and has also had multiple articles published on a variety of nursing topics. Dr. Azita Emami, who became Dean in July 2013, is an internationally recognized scholar for the work she has done around the world with aging adults. Prior to becoming Dean at the University of Washington’s School of Nursing, Dr. Emami served as dean and professor at Seattle University’s College of Nursing. She has also worked with major international institutions across numerous countries and has published more than 60 articles in national and international journals. As further evidence of her continued international involvement, Dr. Emami is multilingual, speaking Farsi, English, and Swedish. 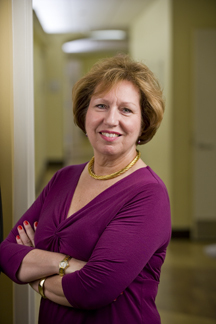 Before being named Dean of Oregon Health and Science University’s School of Nursing in July 2013, Dr. Susan Bakewell-Sachs was Dean of The College of New Jersey’s nursing program for eleven years. While still in her previous home state of new Jersey, she also served as the interim provost and vice president for academic affairs at The College of New Jersey and was instrumental in addressing nursing shortages and modernizing nursing education. Dr. Bakewell-Sachs is a certified pediatric nurse practitioner and a leading expert and nationally recognized scholar in the field of caring of prematurely born infants. Dr. Eileen Sullivan-Marx, who took over as Dean at New York University College of Nursing back in July of 2012, is a nationally recognized leader in geriatrics. Before taking over as the College of Nursing Dean at NYU, Dr. Sullivan-Marx was a professor and Associate Dean for Practice & Community Affairs at the University of Pennsylvania School of Nursing. While at the University of Pennsylvania, Dr. Sullivan-Marx started a number of program health initiatives, including its Living Independently For Elders (LIFE) program, the Healthy in Philadelphia Initiative, the Program for All-Inclusive Care of the Elderly (PACE), and many more. Dr. Marion E. Broome had previously been the Dean of Indiana University School of Nursing since 2004 before taking of as Dean at Duke University School of Nursing in August 2014. She is considered one of the nation’s leaders in pediatric nursing, specifically researching pain interventions for children but also focusing much of her time on ethics and clinical trial misconduct. Dr. Broome, who also serves as the associate vice president of academic affairs for nursing at Duke University Health System, has published five books, 15 book chapters and consumer publications, and more than 90 journal papers. Dr. Donna S. Havens may be an interim Dean at UNC, but that hasn’t kept her from having an impact on the nursing community. Dr. Havens developed the DIS, or Decisional Involvement Scale, which was designed as an organizational development and evaluation tool and evaluative for healthcare organizations. Dr. Havens has been a tenured professor at UNC since 2003, and from 2012 to 2014 was a Visiting Professor at the Florence Nightingale School of Nursing & Midwifery at King’s College London in England. Dr. Havens belongs to multiple policy boards, has won numerous awards, and has spent more than 25 years studying, publishing and consulting countless areas of the nursing profession. Dr. Antonia M. Villarruel took over as the sixth Dean of the University of Pennsylvania’s School of Nursing in the summer of 2014 and is recognized around the world for her leadership in research, policy and practice. Previously, Dr. Villarruel was a professor and Associate Dean at the University of Michigan School of Nursing and a board member of the American Academy of Nursing. Dr. Villarruel specializes on the development and testing of interventions regarding sexual behavior, choosing to specifically focus on Mexican and Latino youth. She has also been the recipient of numerous awards and honors and has served as chair of multiple organizations and associations throughout her career. Dr. Patricia Davidson, who takes the top honors on our list, became Dean of Johns Hopkins University School of Nursing in September 2013 after making a name for herself as a global leader in cardiac health for women and indigenous people. Dr. Davidson, who spent 23 years as a frontline clinician and nurse manager before turning her focus to research and teaching, was previously the director of the Center for Cardiovascular and Chronic Care at the University of Technology in Sydney, Australia. Since taking over as dean, Dr. Davidson has introduced a new degree program (Master’s Entry into Nursing), supervised the securing of more NIH funding than any other school/hospital in the world (more than $68 million for 2015), and overseen a passing rate of more than 91% for first time NCLEX-RN test takers. Congratulations Dean Prevost! I am proud to be associated with The University of Alabama and the Capstone College of Nursing. Congratulations from the Nurses Lounge! Judy Miller is the best! Congratulations on your accomplishments; very inspirational!!!! You empower nurses around the world to practice to their fullest extent and abilities. You are an exceptional leader and again a inspiration to all. Congratulations to Judith Miller. An appropriate honor for such a woman! Gloria Donnelly has been an inspiration to me throughout my nursing career. Congratulations to her and all accomplished nurse leaders.